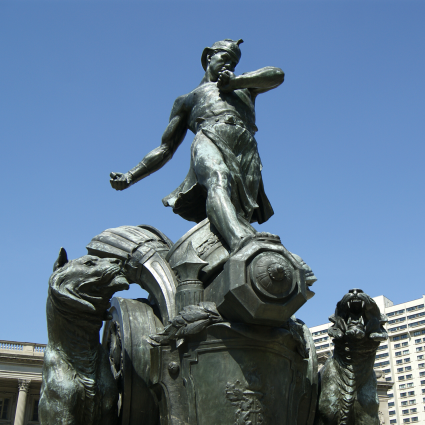 The Shakespeare Memorial was completed in the 1920s, but the idea was first proposed in 1892. 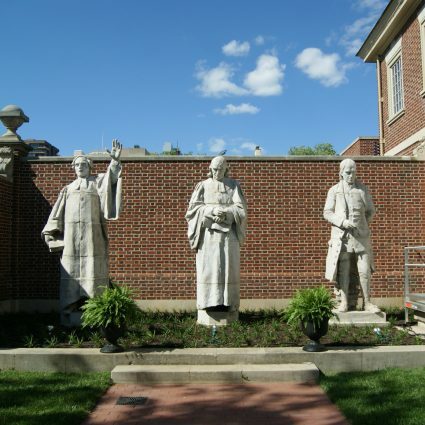 Artist John Sartain, who was a member of the Fairmount Park Art Association (now the Association for Public Art), approached the organization with an interest in raising funds for a monument to Shakespeare through public and private subscription. 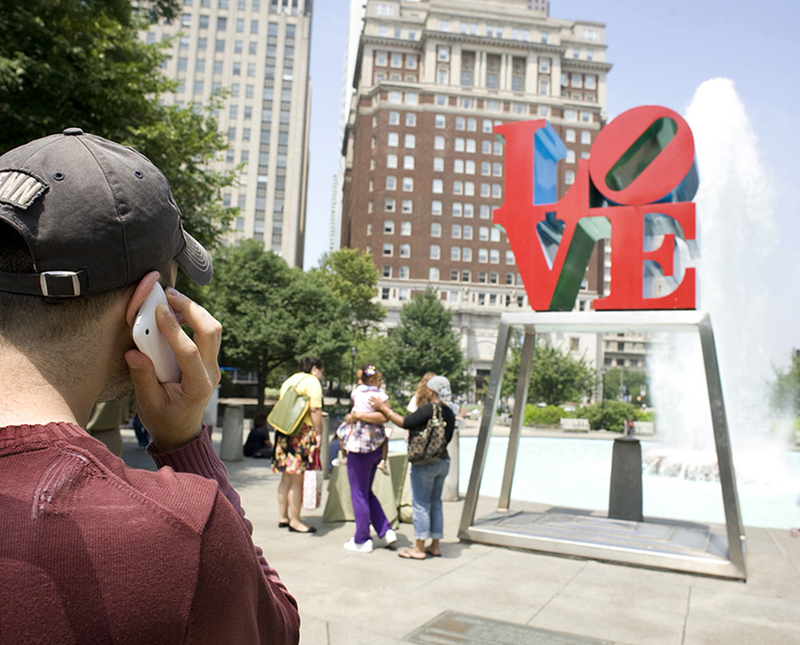 For the Association, the 300th anniversary of Shakespeare’s death in 1916 called renewed interest to the fact that Philadelphia – a city that one would expect to have a memorial to Shakespeare – was without one. 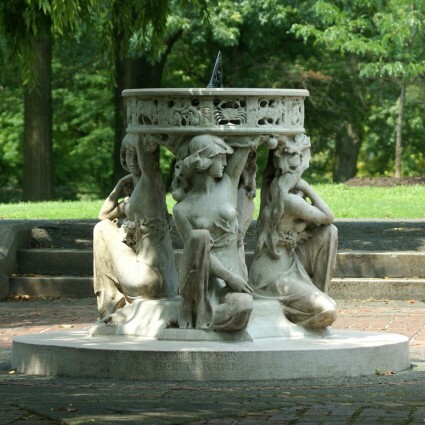 By 1917, funds for the Shakespeare Memorial were in place – and as the Benjamin Franklin Parkway took shape, the commission was given to Alexander Stirling Calder, who also created the nearby sculptures of the Swann Memorial Fountain in Logan Square, the Sundial at the Fairmount Park Horticulture Center, and the Calder Statues at the Presbyterian Historical Society. 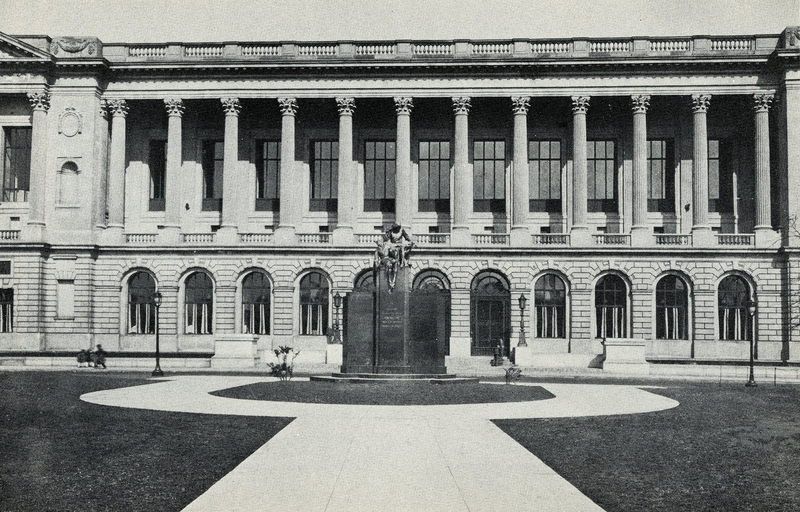 The original site for the Shakespeare Memorial in front of the Free Library was carefully selected by representatives from both the Fairmount Park Art Association and the Shakespeare Memorial Committee, with additional input from architects Gilbert McIlvaine, Paul Cret, and Jacques Gréber. 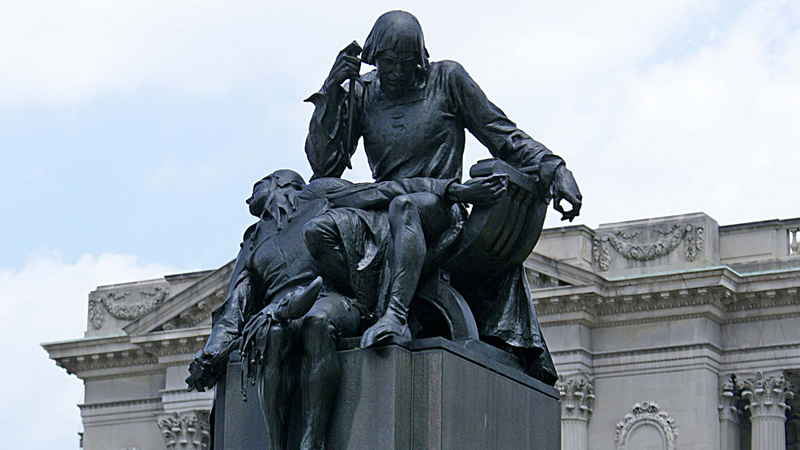 The sculpture was cast in 1926 by the Roman Bronze Works and dedicated on Shakespeare’s birthday in 1929. Because of expressway construction, the memorial was moved in 1953 to its present location. Sarah Garonzik is the former Executive Producing Director of The Philadelphia Theatre Company.